New mineral: Ferrostrunzite de Blaton - Arfvedsonite de Zomba in Mali - Bultfonteinite and Poldervaartite of South Africa it new report on the voyage 2009 in Rwanda east under development. All the vidéos are on line. The pages on the ordination of Birambo, the 3 palates of Nyanza, Nyungwe, Butare and its surroundings, Kansi and Gisagara, the school of Karama and the memorial of Murambi are available. Wählen Sie die Sprache in die diese Seite übersetzt werden soll! Scegli una lingua per la traduzione! 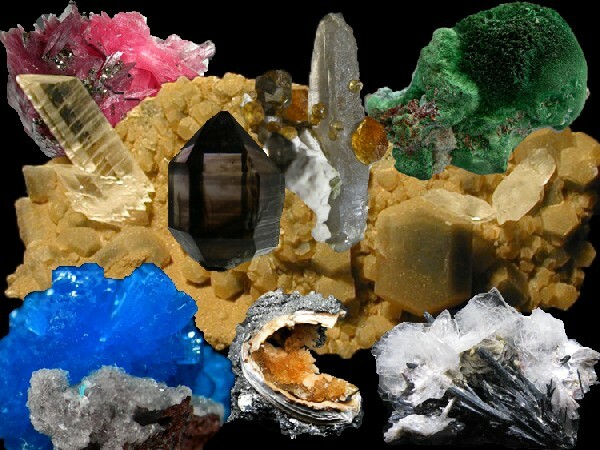 My mineral collection is used as discussion thread with the site which you will visit. There are currently + 300 photographs of parts of all the continents and of new photographs are added regularly. Each one of these parts has a card taking again the essential information of each mineral composing the part photographed: origin, chemical formula, density and hardness, the crystalline system and the way of cleaning it. All photographs are the property of Vervimine Minéraux. Authorization of copy for one personal use. You can also print them in black and white or color for the newspapers of your clubs and associations.